It’s starting to seem like the older I get, the faster a year turns over. 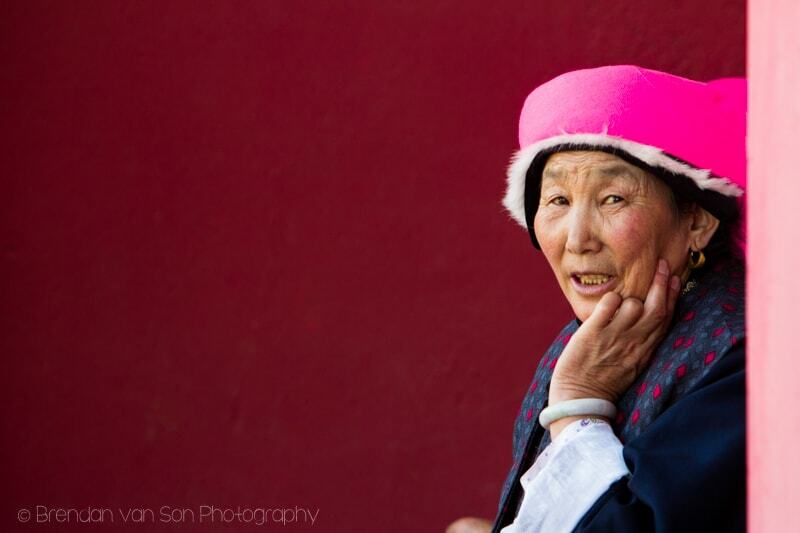 It certainly doesn’t feel like 365 days have already passed since I posted my best photos of 2013. But alas, calendars don’t lie, and time surely flies. And thus, it’s time once again to post my favourite photos of the year. Personally, I’m a massive proponent of goal setting in both life and photography. But a goal is completely useless unless you take the time in the future to reflect and asses your advancement. That’s what these types of posts are about for me. I know these “best of 2014” posts kind of seem a bit “braggy”, however that’s not my intention. 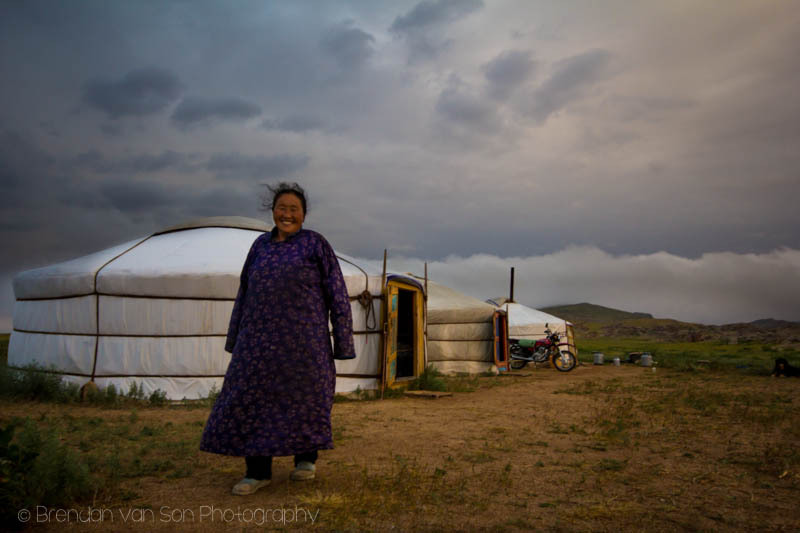 Rather, I use them as a method of documenting my progression as a travel photographer. I’m not posting as a way to brag about the things I’ve seen, places I’ve been, or even the quality of my work. Moreover, I think it should be said that these images are my favourite photos of 2014. There are a lot of photos in my portfolio from this year that didn’t make it on to this list that were maybe more impressive than some of these images. However, they didn’t have the same meaning to me personally. And, in the end that’s what photography is about to me, creating a still shot of a moment that was important to me personally. Moreover, like an idiot, I compiled this list and video, I did a countdown on facebook and instagram before I realized that I forgot to include an image or two from Iceland. 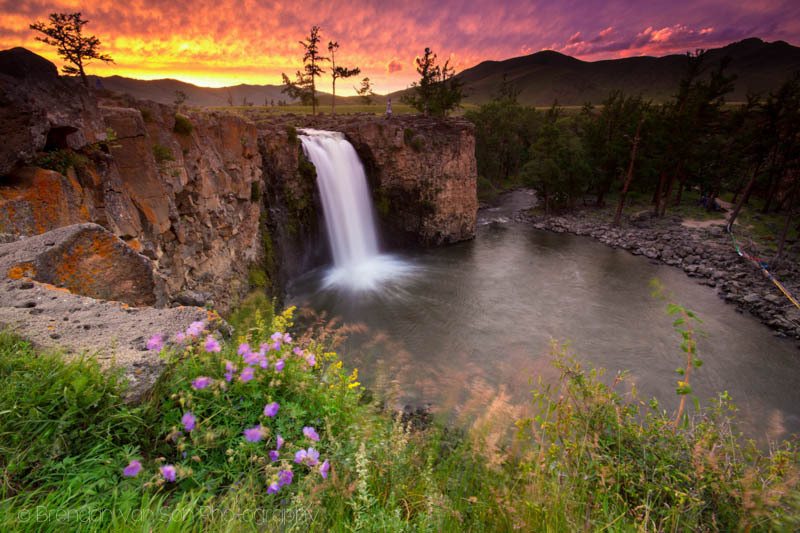 Obviously, there were a couple images from there that qualified for this from Iceland but I realized my folly too late. 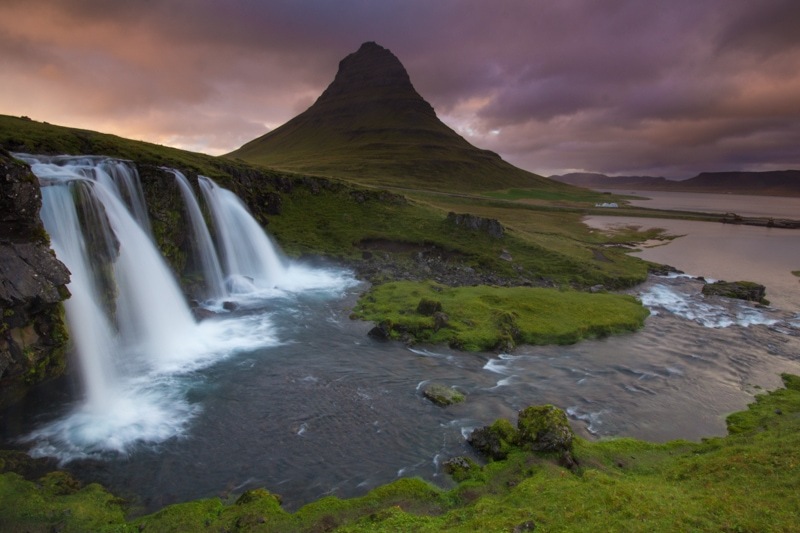 So if you want to see my Iceland imagery, check out this post. Anyways, you can check out my best travel photos of 2014 in the video format or the images are posted in large resolution below. 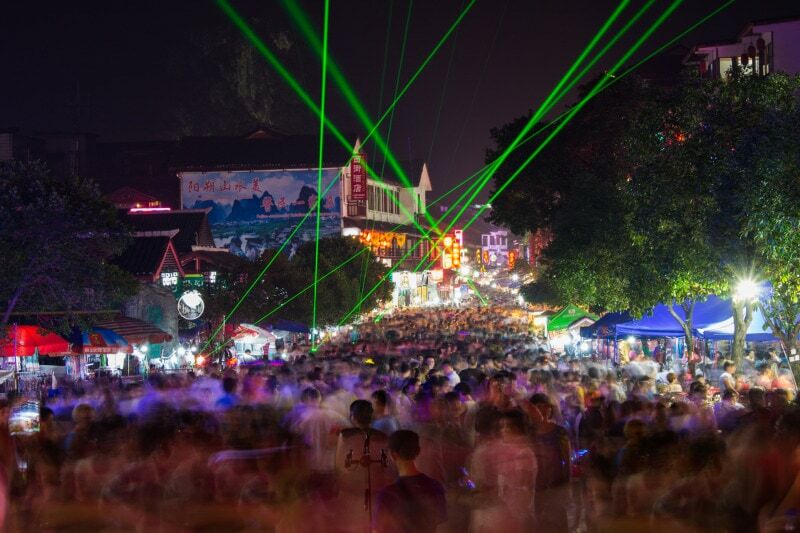 Happy New Year, Mother Photographers! 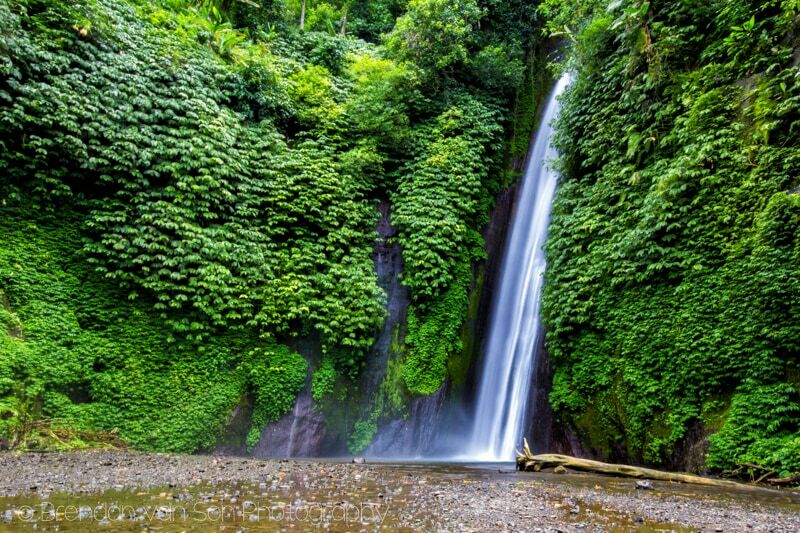 Munduk Falls was shot early in January 2014, and a reminder to me that for great images some times you need to dig a bit. We had rented a scooter in Bali and cruised it looking for places that weren’t either covered in garbage or tourists, as much of the island seemed to be. We found this beautiful waterfall and it made for a great photo. An opposite to the prior image. 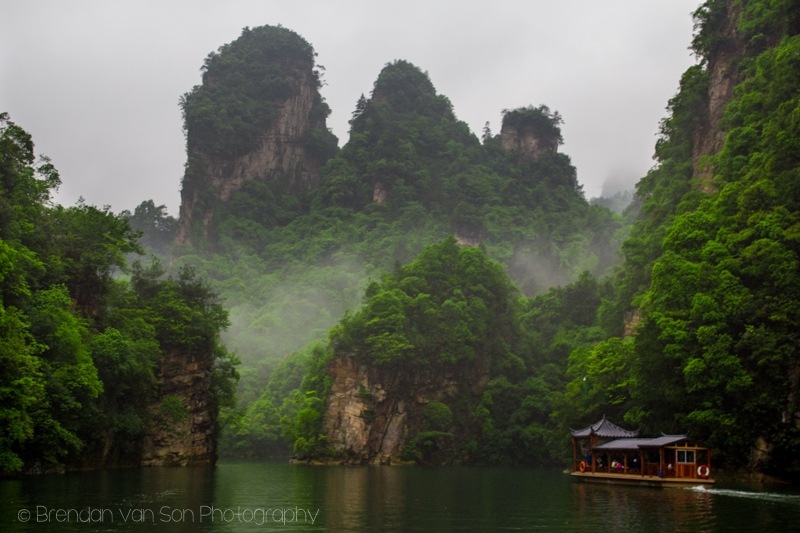 We had been out searching for nature all day and found plenty in Yangshuo. But, in the end, it was a messy scene full of people that ended up peaking my camera’s interest the most. Our Oman in Focus assignment gave me an awesome opportunity to work on one of my goals for this year which was taking more portraits. 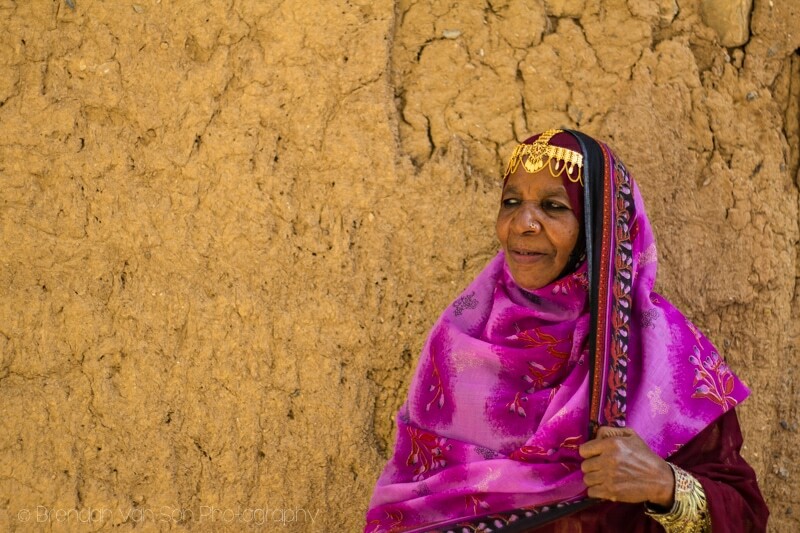 I captured this beautiful Omani woman in a rural town during a local festival. This is an image I’d been wanting to capture for years. 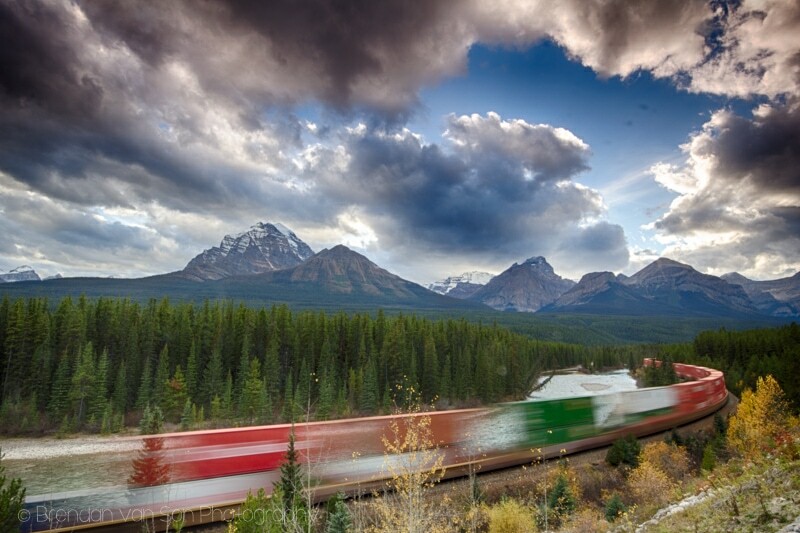 I used to work as a tour bus driver/guide in Banff National Park and tell the story about Nicolas Morant and his railway photography. Thus, I set up in his favourite location this year and waited for a train to pass. 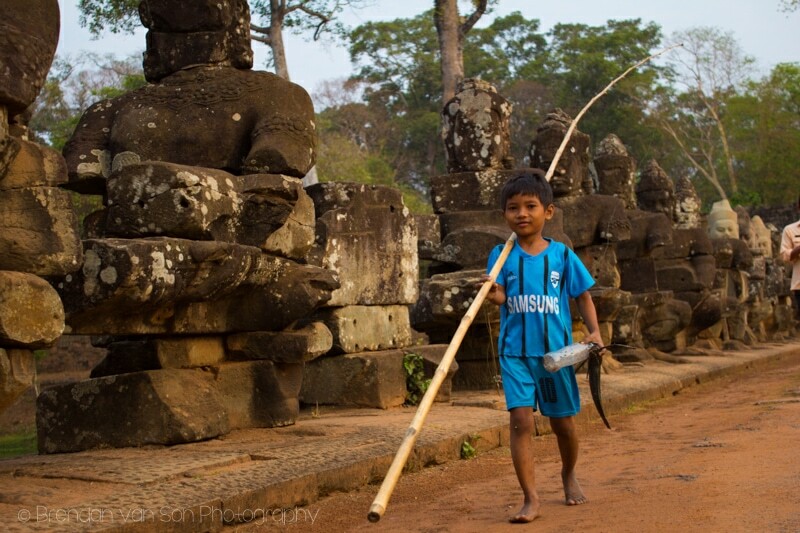 I’m pretty sure the Cambodian kids were the most photogenic of any we met along the road in 2014. I mean, this kid must have been up before dawn to fish and crossing the Buddha Bridge he looks like he’s just come off a movie set. 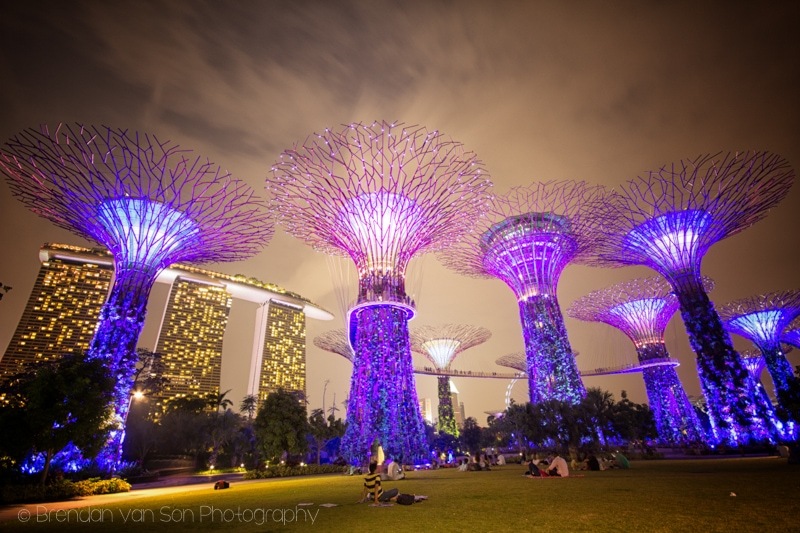 I loved photographing Singapore, but I really could only choose one image from the city. I chose the gardens because I love the melding of city and nature here. 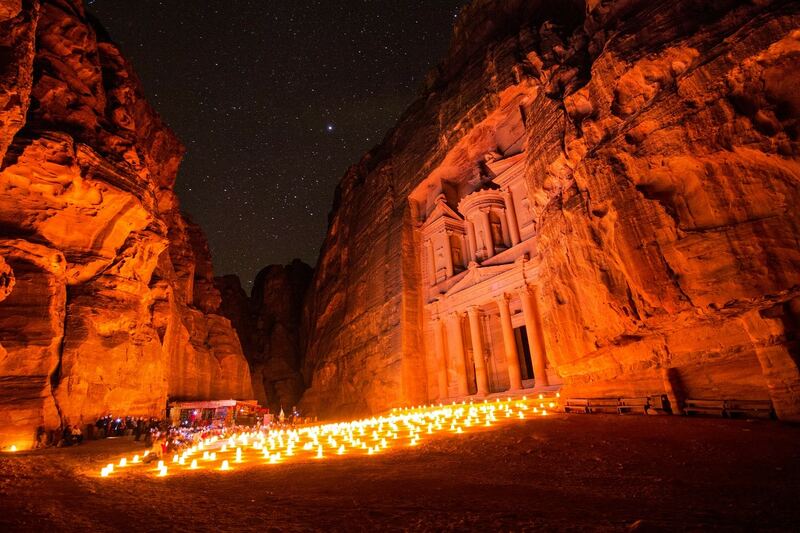 The light show in the evening made for a great time to photograph it too. Another one of my goals in 2014 was to take more photos of the details of the world. I’m pretty good at capturing the big picture, but I really wanted to find art in the details this year. 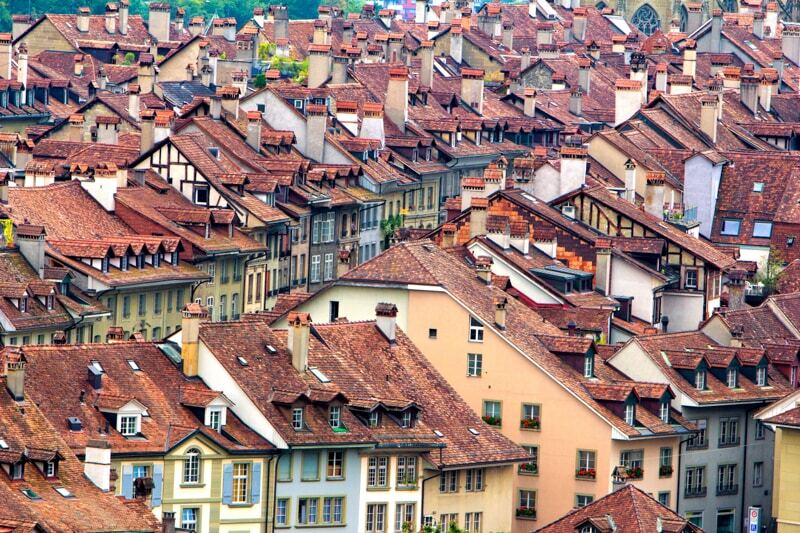 This photo of the rooftops in Bern is a good example of that idea. This image falls in the category of cool, but not fantastic, but important to me. I just have such a vivid memory of waking up, hiking up a sand dune with my buddies Ibrahim and Tarek, and watching the sunrise from the top. It was a great moment with some really good people. 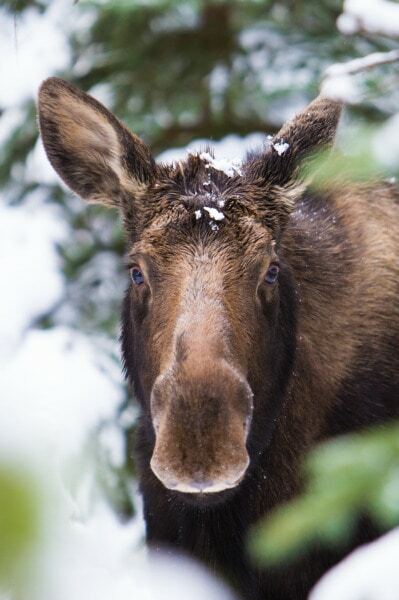 Prior to this one, I think the last moose I saw in the wild when one chased me through the woods when I was walking home from school in high school. This moose, however, didn’t chase me away. I stood behind a tree to photograph her, and she was a beauty. This shot was the moment I knew that I needed to upgrade my camera body. I couldn’t shoot enough ISO without ruining the image quality, so I stood there still as I could be shooting 1/50 at 200mm. It took about 10 attempts, but I got her in the end. This was a tough image to place on the list of best images from 2014. It’s one of my favourite photos of all time, and a shot I’d wanted for ages. Truthfully, I could have placed it anywhere in the top 20 and it would have probably made sense. This is one of those images that caught my attention because of how popular it was on social media. I liked the image, but it didn’t do all too much for me. But, then when it exploded on social media it made me re-examine it. I’m glad it did, because I’m a fan now. 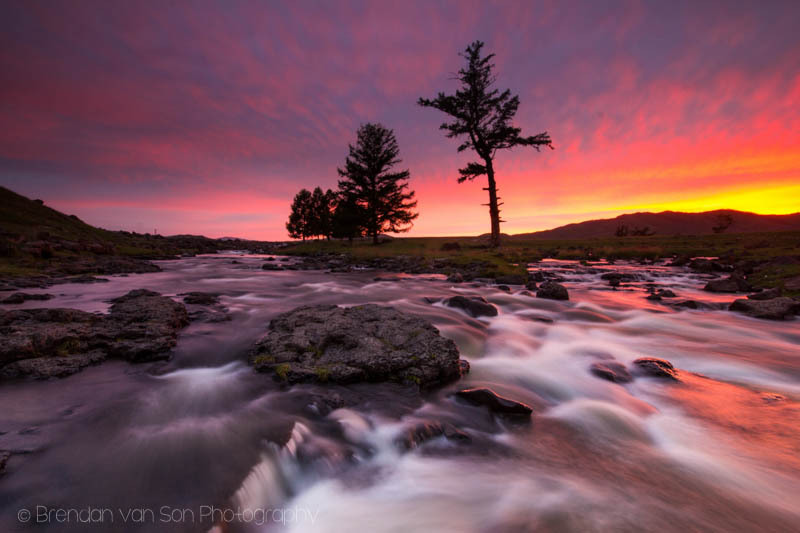 This was the best sunset of 2014, and you’ll notice later on that this photo from Orkhon Falls in Central Mongolia wasn’t even my favourite photo of the night. Stay tuned to see which one of mine is. The goal I want to work on even more in 2015 is adding people to my images. So often, I’m trying to shoe people away from my scenes, but I want to start adding people in the right scenes as well. 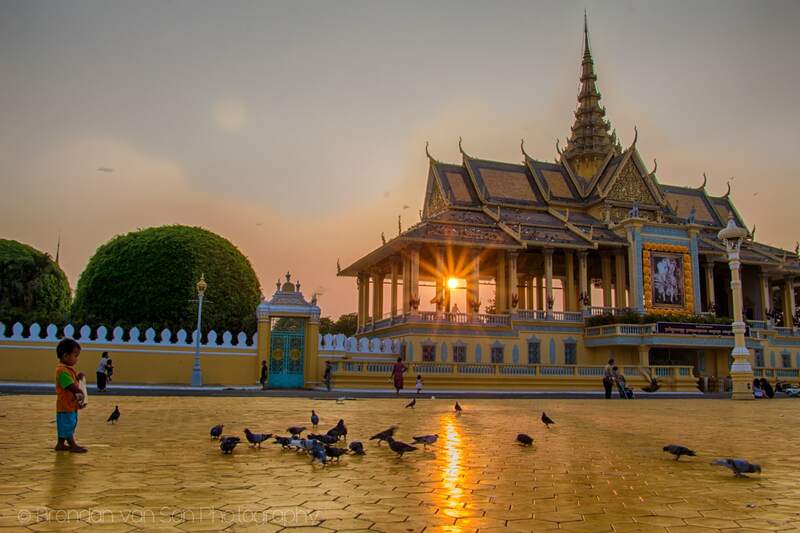 This style of image from Phnom Penh is an example of that movement. It’s easy to look out your window pre-dawn and see fog and go back to bed. 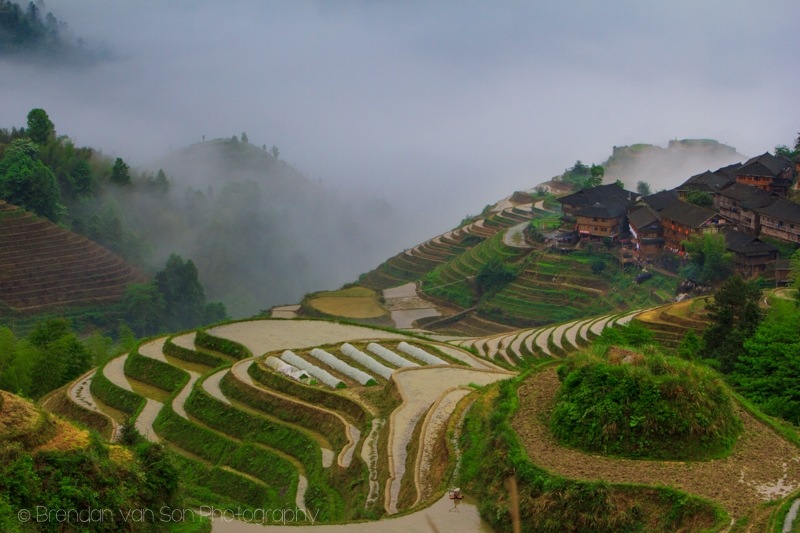 However, this morning in China I got up despite the fog, hiked up the hill through the terraces and got above the clouds for amazing views like this. This image was a bit of redemption. 3 years ago when I was in Bern for my first time, I wasted my day and didn’t get a photo of this scene I really wanted to capture. In 2014, however, I got it, and I got it good. Boom, the good light. 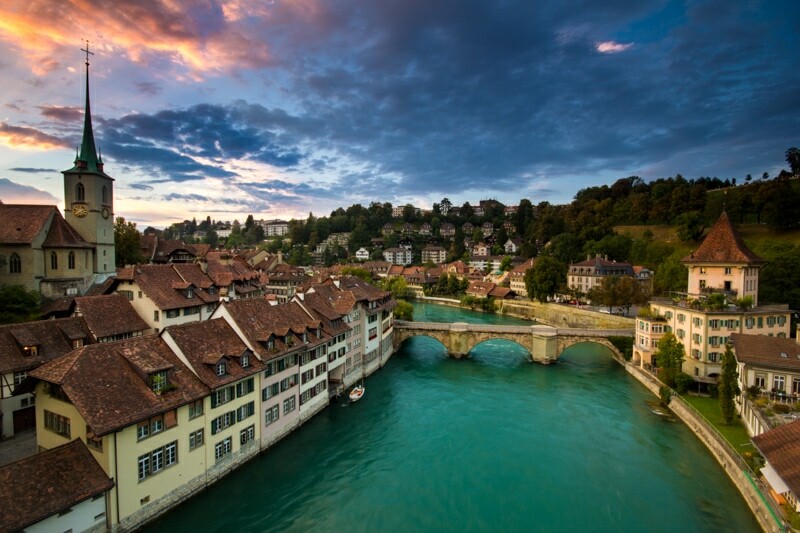 This is the image of Bern I showed you the process of in the video. I’m stoked how it came out! 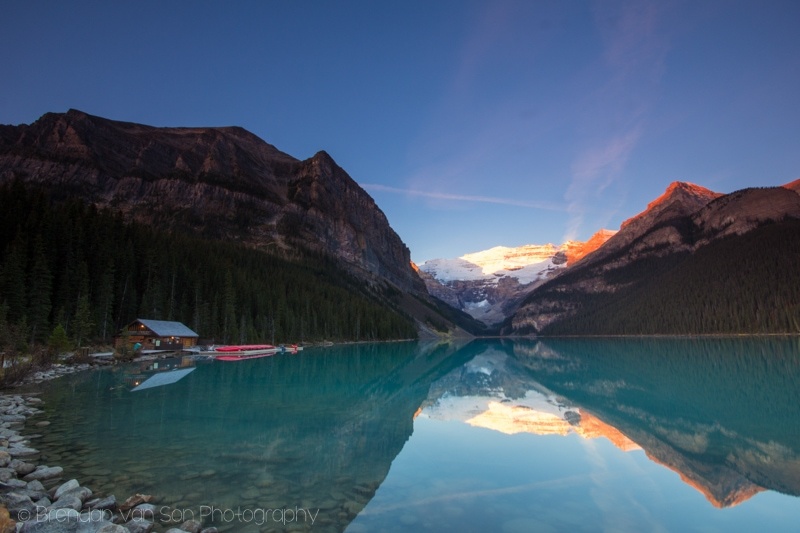 There’s not much to say about Moraine Lake other than it’s my favourite place in the world to watch the sunrise. I was fortunate to be there as the world woke up once again this year. 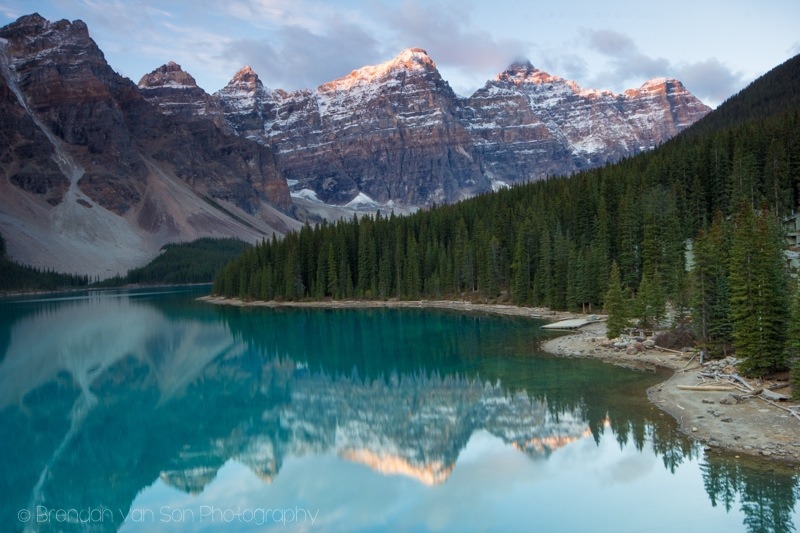 The sun light hit the top of the peaks at Moraine Lake for a moment or two. It was perfect. 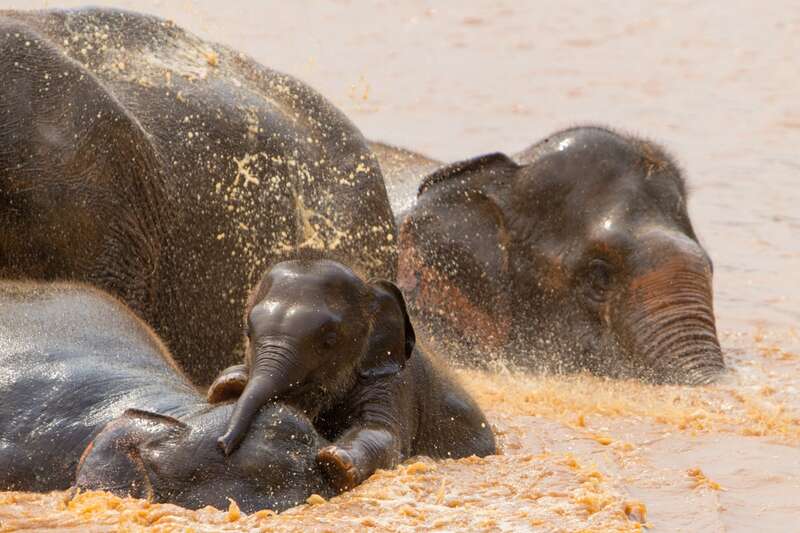 How could I not include this cute little baby elephant at Chaing Mai’s Elephant Nature Park into my list of favourite photos from 2014? I mean, how adorable is he? 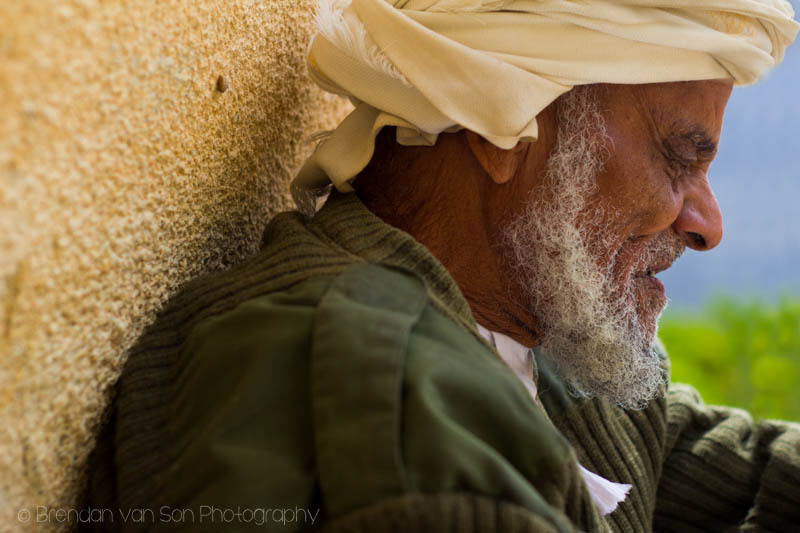 This was the first portrait I took in Oman. I sat with this old man for about 15 minutes and I must have been pretty boring, because he decided to take a bit of a nap. When he did, I snapped a photo. I hope he didn’t mind. Another one of those days I really didn’t want to go out and shoot but forced myself to anyways. The weather was rainy and dreary, and in the end the scene I got exuded not only those emotions but that of an Ancient China as well. Again, this is one of those moments I was working on this year in which I brought the human element into a typical tourist snap shot. 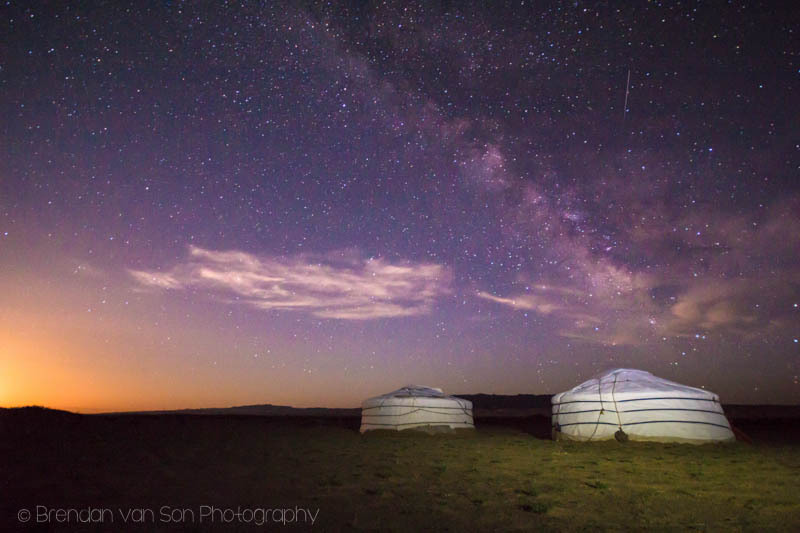 It’s the personal feeling that takes this image above a simple image of a ger camp in Mongolia. I met one of my favourite animals in person in 2014. 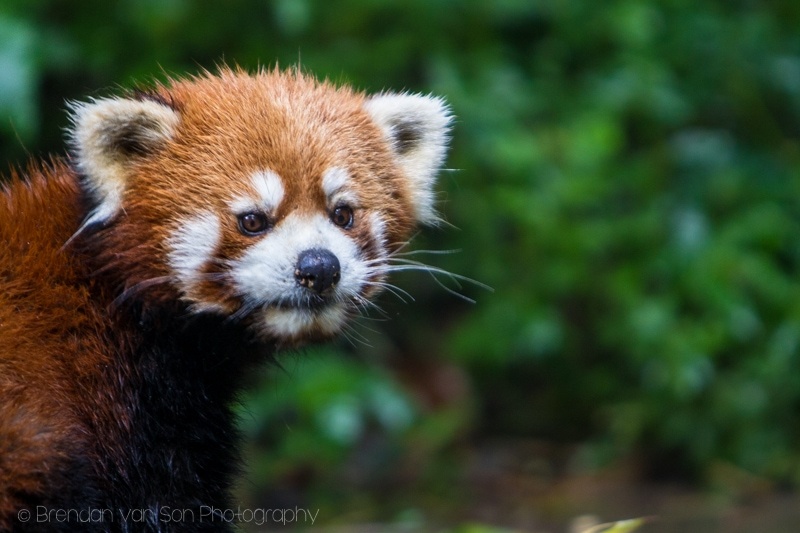 The Red Panda has to be one of the top 5 cutest animals on the planet. I’m stoked that I managed to capture an image of one, too. The contrast of colours here, is what makes this photo for me. Another goal this year was to add some black and white images to my portfolio. I’m much more of a colour photography guy, but the black and white world has been something I’ve been trying to connect with as well. 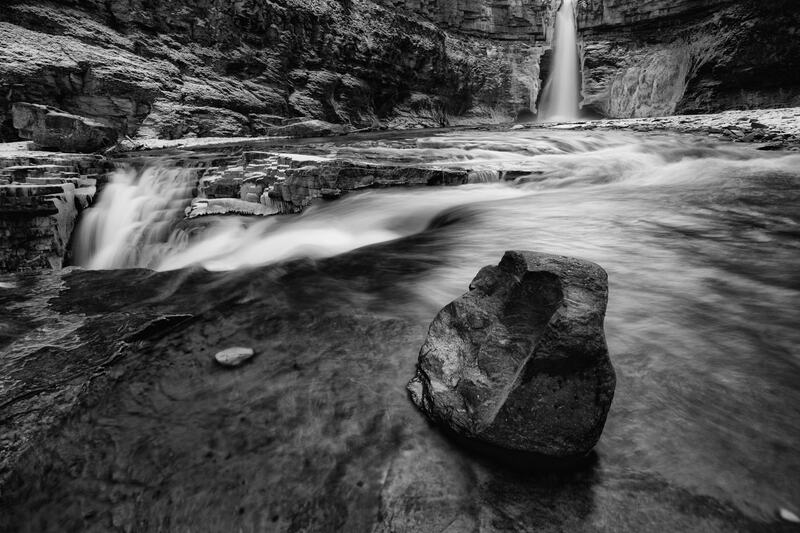 When I saw this scene at Crescent Falls, Alberta, I knew it was made for black and white. I mentioned this sunset earlier. How killer is that sky? I mean, it just exploded when the sun went down. I was so happy with this image because I had managed to pull myself away from the obvious shots of the waterfall to this image which I love. OK, so I reworked the list a little bit from the video include an image from Iceland. I had to, that country was stunning. I can’t wait to get back there and shoot more images. 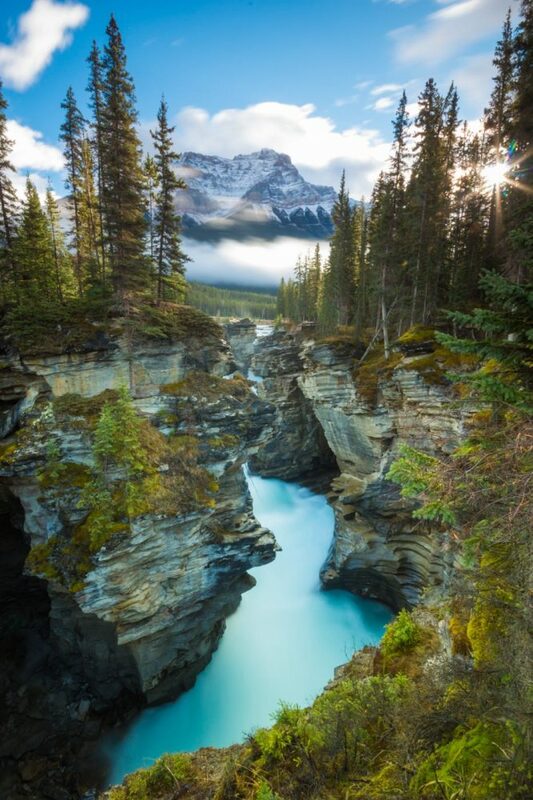 This is obviously a classic photo location and one of the most photographed spots in all of Canada. In these types of locations, I try to put my own personal spin on it. And I think I did that successfully here at Lake Louise. There was a lot of luck involved in this image. I was out shooting the stars and was basically done. I decided to take one more image, and this orange glow started to show. I realized the moon was rising and causing an amazing scene of light to develop. Once again, here’s a scene I would have shot in 2013 sans-people. However, I managed to add to this image of Songzanlin Monastery in China by adding these awesome Buddhist Monks to the frame. 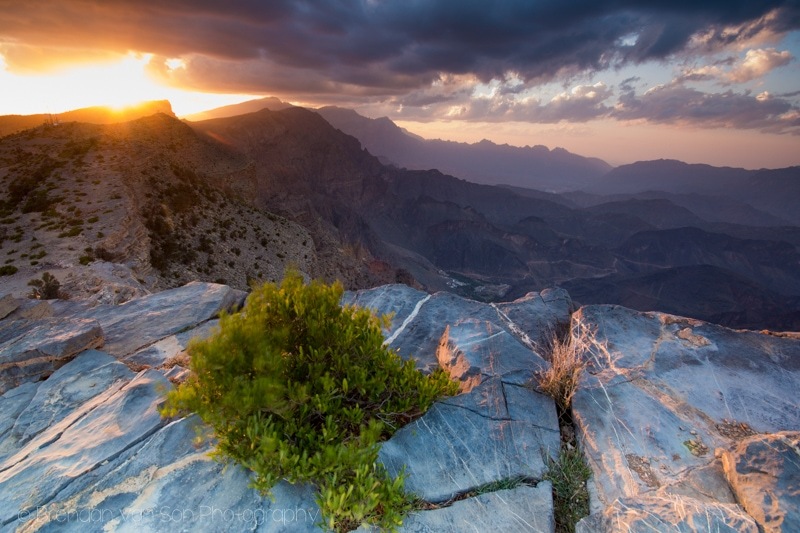 Up there in the best sunsets of 2014 was this one in Jabal Shams, Oman. The view, the mood, the colours in the sky all made for a near perfect location and experience! 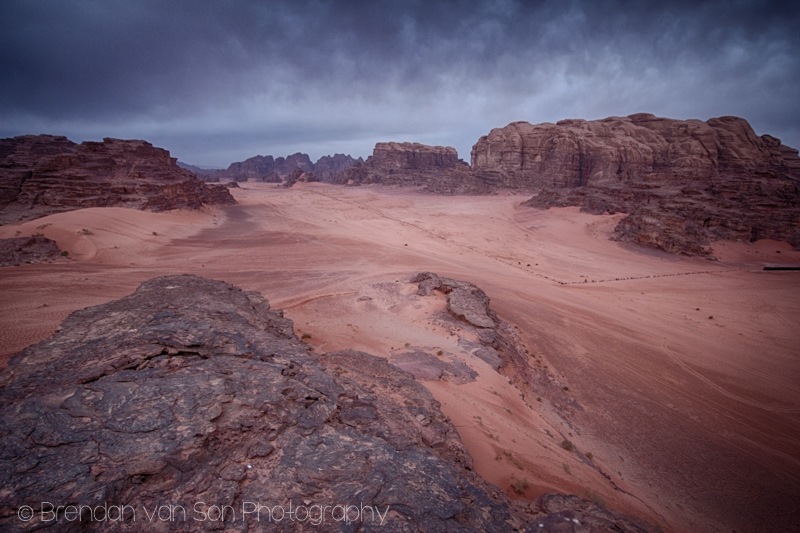 This is my favourite travel photo of 2014 because it’s the one image where I put it all together. 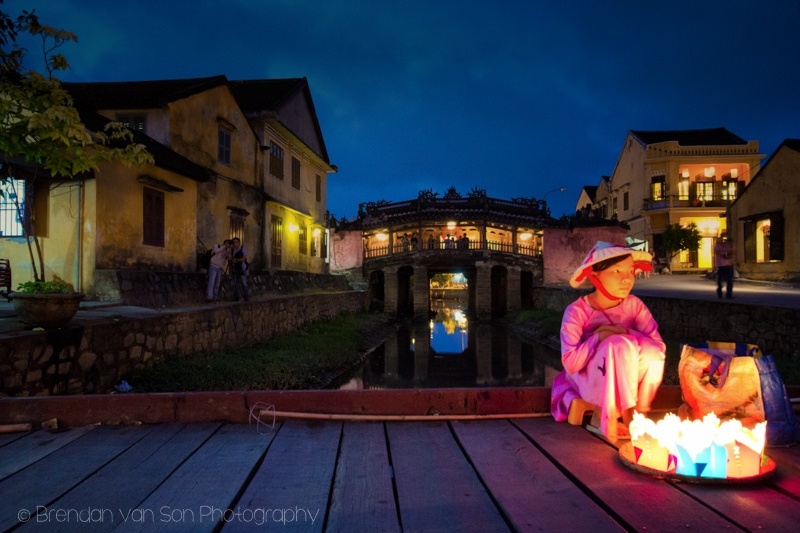 I’ve got a portrait of a person in an interesting light, with an iconic scene – the Japanese Covered Bridge in Hoi An – to top it all off. 2015 is setting up to be amazing. We’re getting geared up for a 2-3 month road trip here in the Southern US. Then, it’s off to South America for a couple months. I can’t wait! I must say, my own favorites are the Omani Woman & Omani Man, the Shangri-La woman, and the Sunrise over Jebel Shams (so a lot of Oman, a country I visited end of 2012 and that I absolutely loved!). Oman is awesome, isn’t it? Ever since I left, I’ve been dying to get back there. Great shots from an amazing year of travel. Love it! Thanks so much for the compliment Tommie! I wish you all the best in 2015! 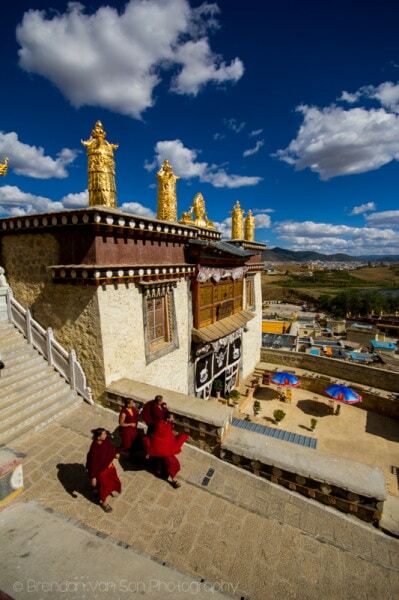 I read your post.It is nice blog.Yours shots is Gorgeous.and i am inspired by your picturs..This is very informative blogs for trawels and getting destination ideas for my next journy.Thank you for shring this post….